Any design team dreams of getting a blue-sky-thinking brief by a brand like, Plascon. 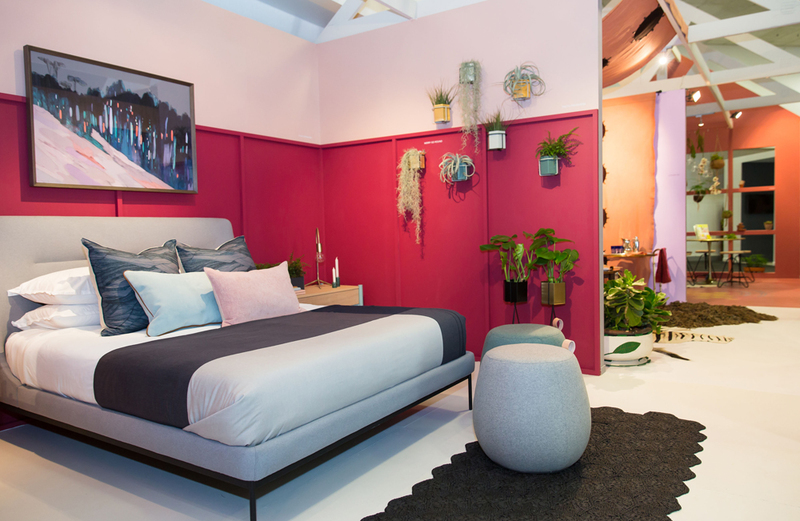 We were tasked with designing the bedroom node of their Decorex 2017 stand and given their 2018 colour palette to use. We selected four key colours; cream, green, Hudson and Julianne Jade with which we set about creating a romantic yet uber contemporary bedroom. We colour blocked the wall with paneling in Pasta Primavera and Merry Go Round, used the cream on the floor, the green as a duco on the dressing table and we also echoed these four colours in our choice of fabrics. 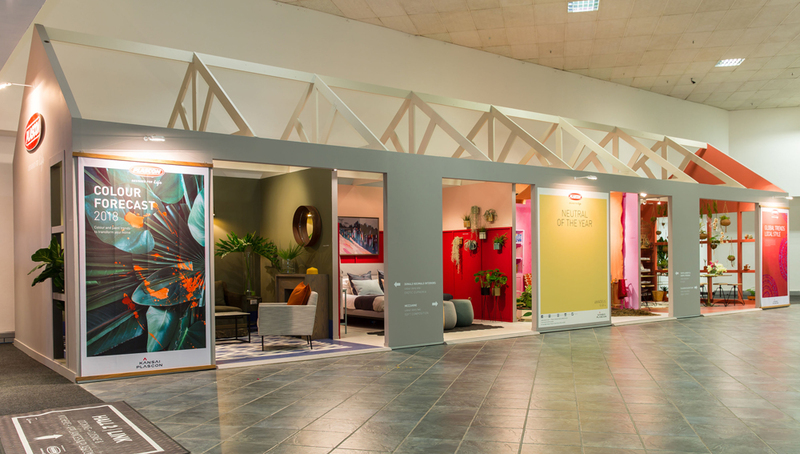 As part of the stand we launched our Kyoto Bed, Perch Stools and Kyoto Dressing Table, to much acclaim, as well as the much loved European brand, Ferm Living’s planters. Combining different colours in a way we wouldn’t normally get to do in the real world was the best part about this project.